Imagine yourself astride a magnificent Arabian horse, his mane blowing in the wind and tickling your hands as they hold the elaborately tasseled reins, your eyes falling on the magnificent sight of the Pyramids of Giza looming before you. This is the sort of horseback riding experience that’s meant to be savored for a lifetime. Now imagine that the reins are attached to a bit that fits uncomfortably in the horse’s mouth. He shifts from side to side to take the weight off of his painfully overgrown hooves. He hasn’t had adequate hay for days, or possibly even weeks. And he’s been beaten to force him to perform. The experience doesn’t sound so ideal anymore, does it? As responsible travelers increasingly eschew attractions that profit from captive animals, the tide is slowly shifting towards an industry that favors viewing animals in their natural habitats. Companies like Sea World are seeing their business models crumble, and attractions like Thailand’s Tiger Temple watch their visitor numbers decline steadily as people become more and more committed to ethical practices regarding the exploitation of animals. Unfortunately, for domestic animals like horses, things widely remain unchanged. It’s easy to see that a dolphin in a tank a caged tiger are in unnatural, uncomfortable surroundings. But, for the layperson, it’s not as readily apparent when a horse at a tourist attraction is unhealthy, in pain, or lacking basic care. When tourists choose an irresponsibly managed horse activity, they may unknowingly be contributing to improper care or abuse of these amazing creatures. Even someone who’s unfamiliar with horses can see when they look thin. But this is not always the only way to gauge a horse’s physical health. 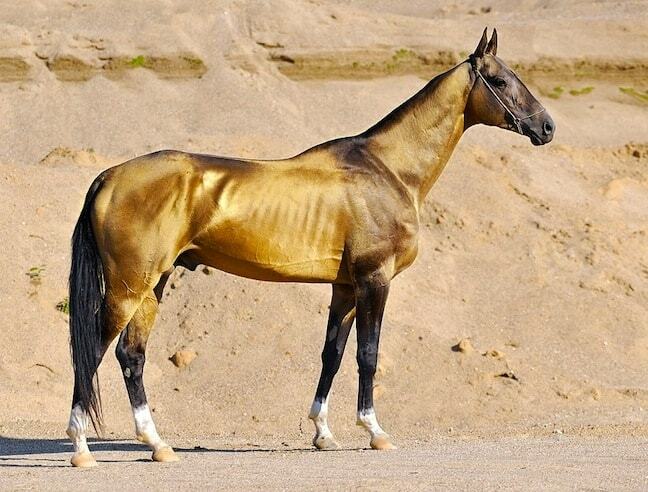 Some horse breeds– such as Thoroughbreds and Akhal Tekes– are naturally thin, with more prominent ribs and pelvic bones. Therefore, various other elements must be observed before we can judge a horse’s body condition by sight alone. The Henneke Horse Body Condition Scoring Chart is used by veterinarians and horse experts around the world, providing a universal standard by which each animal’s body condition can be assessed. While there are many variables associated with this scale, such as the horse’s gender, breed, time of year, and level of exercise, it’s generally a good resource to employ when judging a horse’s physical appearance. Generally speaking, a healthy horse should fall between 4 and 6 on the Henneke scale. 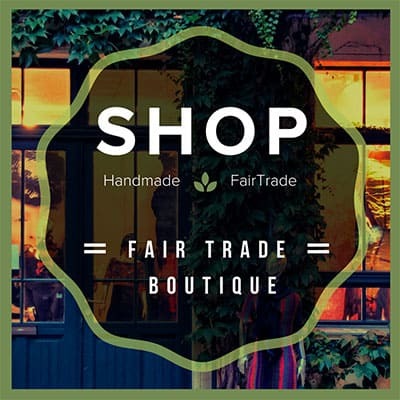 This means that the bones should not be overly prominent, there should be visible fat deposits along the neck, back and rump, and the top of the tail should feel spongy when pressed. 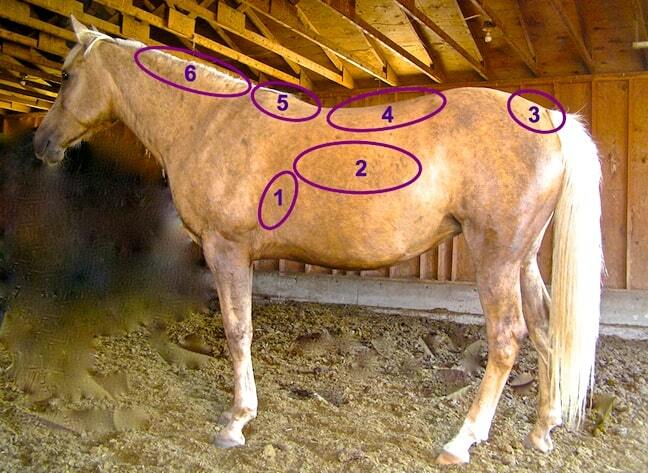 If you feel that the horse’s appearance doesn’t measure up to these criteria, don’t ride it. 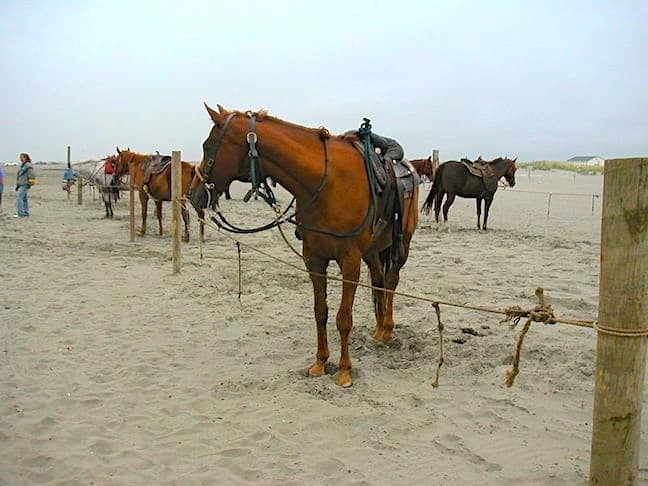 If the horse is already saddled when you arrive and you’re concerned about not being able to adequately assess its body condition, ask that it be unsaddled. A responsible horse tour operator won’t hesitate to agree with your request. Despite their size and obvious strength, horses are actually somewhat fragile creatures. Much of a horse’s ability to perform his work depends on the condition of his feet, or hooves. And while it’s not necessary that every horse be fitted with horseshoes, there are a few things to look for to ensure that your mount has had its hooves properly cared for. In the wild, horses’ hooves are worn down naturally as they walk and run several miles each day over varied terrain. Most domesticated horses don’t have that luxury, so responsible horse owners need to implement proper hoof care protocol. Horses need to have their hooves trimmed regularly in order to ensure that they’re properly balanced and that the horse is comfortable when moving. 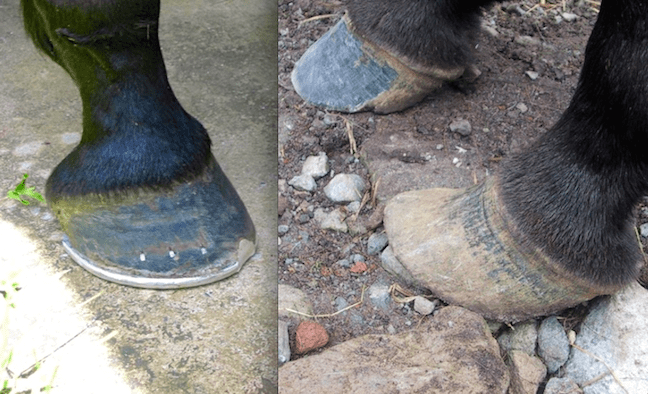 Whether a horse is wearing shoes or not, the hoof should appear solid and strong, and should be free of any long vertical cracks or ripples that run around its circumference. The heel should be slightly elevated and the toe should not extend overly outward. If the horse’s hooves have not been properly trimmed and aligned, the knees may buckle forward and movement will be affected. 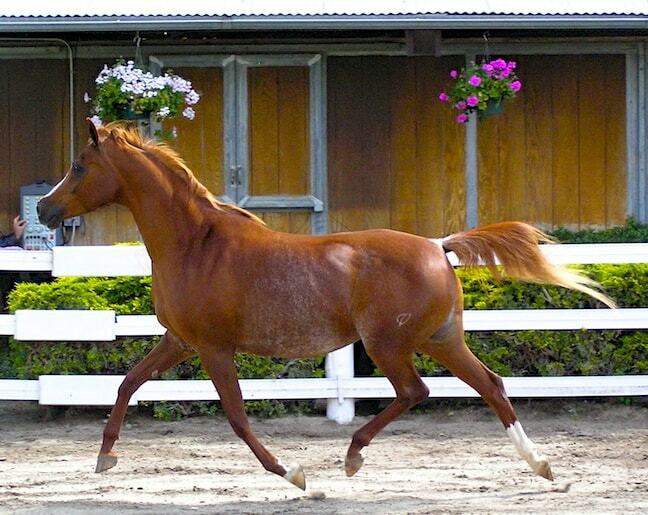 If you have any concerns, ask that the stable attendant lead the horse at a trot without a rider. If he limps or favors one foot over the others, don’t ride him. There are myriad other ways to assess the care that work horses are receiving. If you enter the stable or barn, there should not be an overwhelming odor. Sure, they will likely smell like manure, but a strong odor of ammonia may indicate that the horse’s stalls are not properly cleaned. The horses might be standing for hours (or even days) in their own feces and urine, which can cause a number of diseases and health issues, especially of the hoof. A pasture located on or near the horse tour’s property is a good sign, especially if you see horses in it. Horses are grazing animals, and they need access to forage in addition to other sources of food. Because horses are herd animals, the chance to graze and socialize with their stable-mates is crucial to their emotional well-being. If possible, do a visual check of the pasture or stable to see that the horses have access to clean drinking water and shelter from the elements. Also pay attention to the manner in which the stable attendants or tour guides handle and treat the horses. Excessive force such as whipping or hitting is not necessary, and it’s not the proper way to ask horses to do their jobs. In fact, this type of treatment can result in worsening behavior by the horse over time, and often leads to painful injuries. Refusing to take part in a horse tour due to the manner in which a tour guide handles the horses sends a powerful message, and it may result in better treatment for the animals due to the potential loss in revenue. Lastly, inspect the tack that the horse is wearing. The saddle and bridle should fit properly and be in good condition. Look for sores at the tack’s points of contact, which can indicate that the tack doesn’t fit the horse and can be painful for him. Make sure that the leather is free from cracks and that any buckles are latched properly. Poorly-cared-for tack can leave both horse and rider susceptible to injury if any part of the saddle or bridle breaks or comes unbuckled during the ride. 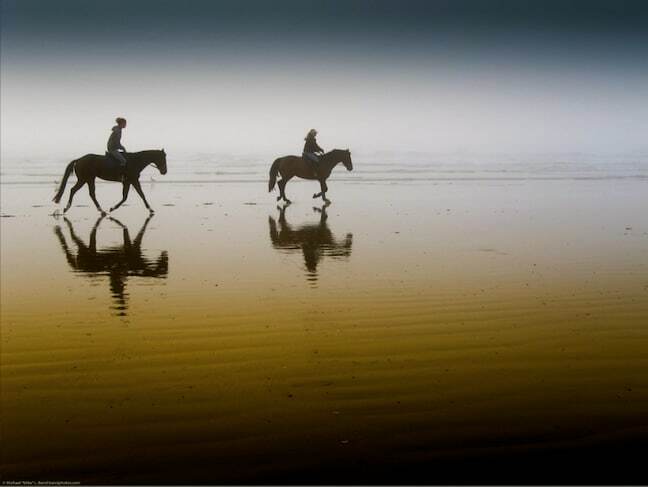 Taking a horse tour of any kind while traveling can be an incredible, one-of-a kind-experience. These kinds of excursions offer travelers the chance to reach places that they might not otherwise be able to, and to experience unique insights into local cultures and communities in far-flung parts of the world. However, before you jump in the saddle, be sure to observe the condition of the horse and ask questions. If, for any reason, you feel that the horse is unhealthy, in pain, or poorly cared for, then don’t ride it under any circumstances. 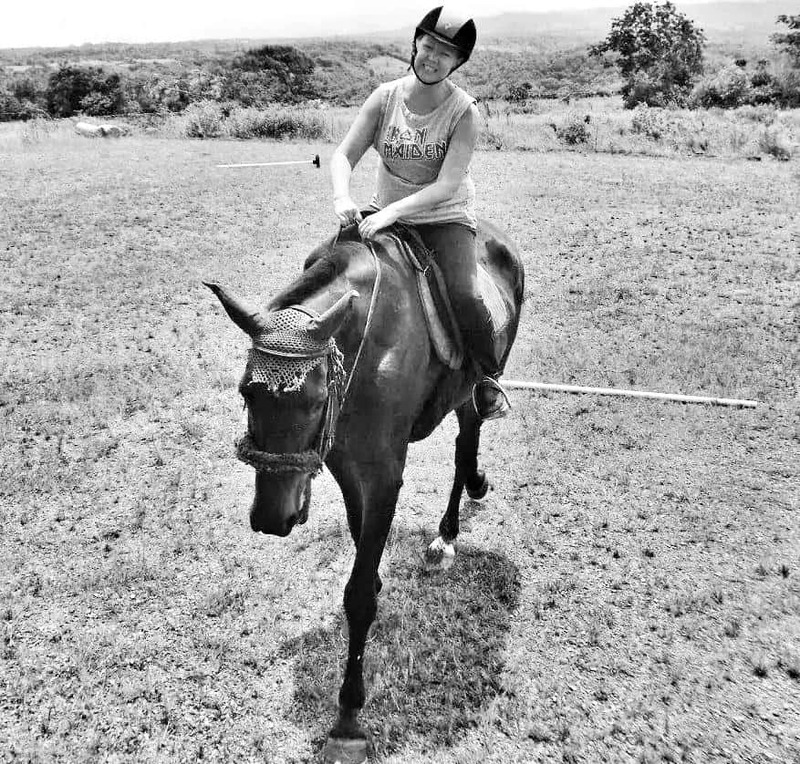 GGT Staff Writer Cate Brubaker is a passionate traveler who grew up on a horse farm in small-town Oklahoma before leaving to travel the world. Cate and her husband Will now reside in Boquete, Panama, where they run The Life Nomadic travel blog. Cate is an avid equestrian and passionate about animal welfare. 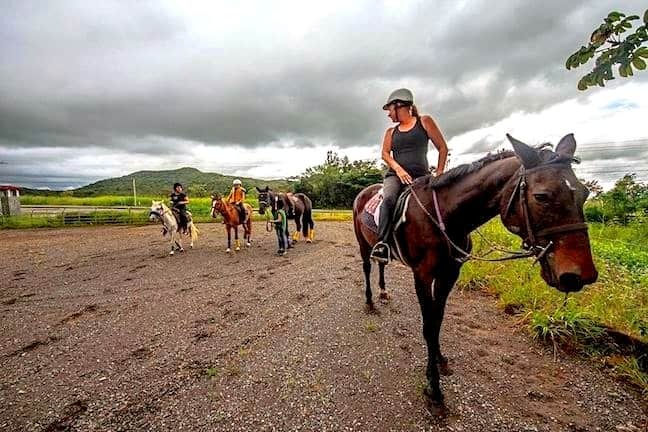 When she’s not at her desk crafting compelling stories for her freelance clients, you’ll find her at the stables in Boquete, helping to care for rescued horses and giving riding and horsemanship lessons to local children. Follow Cate and Will’s adventures on Facebook and Twitter.